With the recent execution of Saddam Husayn, there are writings all over the media about our relationship with him, the death penalty, foreign policy, etc. Some are accurate, most are not. I have already commented on Robert Fisk's article (Robert Fisk - again) in the British Paper The Independent. For example, there is an editorial today by New York Times writer William Rivers Pitt titled Hussein the Rabbit, that perpetuates some incorrect information on Iraqi use of chemical weapons on the the Kurdish village of Halabjah. He even mentions me in the article, but that's not germane to the point here. First, anyone who refers to Saddam Husayn as Husayn knows little of Arabic names. Husayn is Saddam's father's name. His name is correctly stated as Saddam Husayn Hasan al-Majid. Saddam is his given name, Husayn is his father, Hasan is his grandfather, and al-Majid is the family name. Some important and uncomfortable truths died with Hussein Saturday morning. The refrain of "Saddam gassed the Kurds in Halabja" has been with us for years, standing unchallenged in any mainstream political conversation. Yet Stephen C. Pelletiere, in a January 2003 New York Times article titled "A War Crime or an Act of War," revealed some information that cuts against this grain. Pelletiere was the CIA's senior political analyst on Iraq during the Iran-Iraq war, and served as a professor at the Army War College from 1988 to 2000. He also headed a 1991 Army investigation into how the United States would fare in a war against Iraq, and the classified report created from this investigation contained voluminous details of the Halabja attack. "Immediately after the battle," wrote Pelletiere, "the United States Defense Intelligence Agency investigated and produced a classified report, which it circulated within the intelligence community on a need-to-know basis. 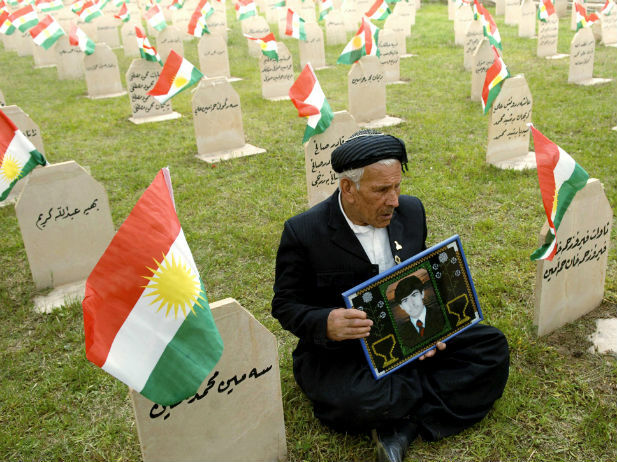 That study asserted that it was Iranian gas that killed the Kurds, not Iraqi gas. The agency did find that each side used gas against the other in the battle around Halabja. The condition of the dead Kurds' bodies, however, indicated they had been killed with a blood agent - that is, a cyanide-based gas - which Iran was known to use. The Iraqis, who are thought to have used mustard gas in the battle, are not known to have possessed blood agents at the time." No one can deny that Saddam Hussein had many murders to his name, and yet the facts revealed in this classified report give pause. We have here an example of political expediency in the American style, where facts are ignored because they ruffle the story line and derail the rationalizations that sustain us. When the slogan on the battle standard is a lie, those who rally to it become victims of a fraud. I know Steve Pelletiere, and am intimately familiar with his analysis and report. I was in Baghdad when the incident took place. He is correct that in 1988 we believed that Iran was primarily responsible for the chemical attack on the Kurds in Halabjah. However, that analysis was later proven wrong as additional information came to light. In 1995, one of the Iraqi pilots who had participated in the attack defected to the Kurds in northern Iraq. I was among those serving in northern Iraq and talked to the pilot. He confirmed that it was Iraqis who had perpetrated the attacks. It was about this same time that Khidhir Hamza, a physicist involved in the Iraqi nuclear program defected as well. According to Hamza, the attack on Halabjah was a weapons test to determine if Iraqi chemists had perfected development of the nerve agent. A month later, after the successful "test" at Halabjah, the Iraqis used the agent in their attack on the Al-Faw peninsula. Halabjah was an attack by Saddam Husayn's Iraq on its own citizens. Let's not rewrite history.